Do you suffer from motion sickness? Does someone in your family turn green the moment they see a spinning ride? 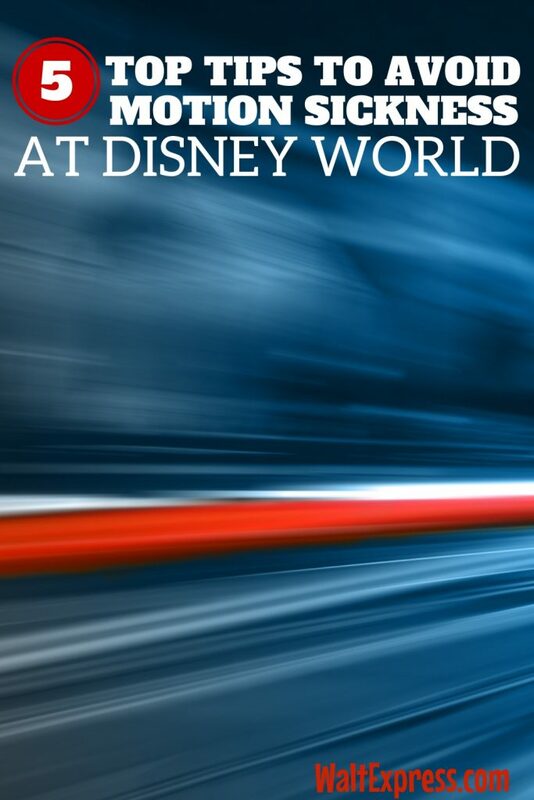 If so, you need to read our Top 5 Tips for Avoiding Motion Sickness at Disney World. 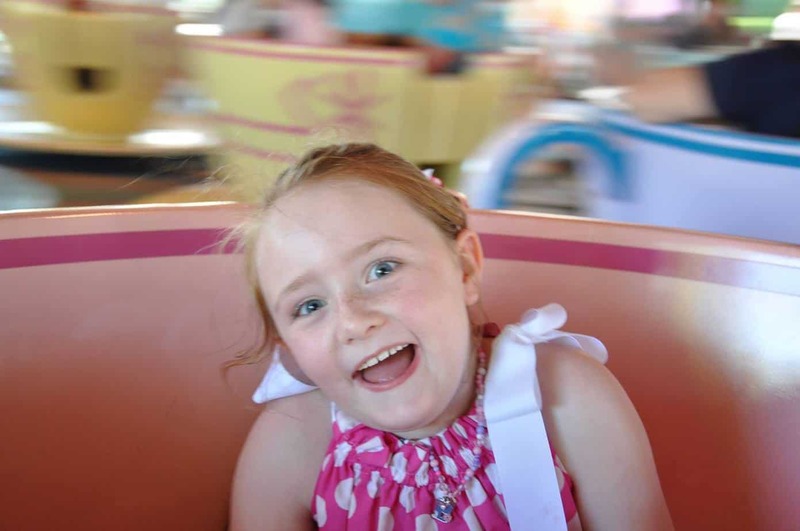 Let’s talk about motion sickness… Have you ever gotten on a ride after eating a nice big meal and then immediately felt sick afterward (or worse…during the ride)? Yep, eating a big meal or even a heavy snack can bring your fun in the sun to a halt if you aren’t careful. My husband has terrible motion sickness (the man can’t even look down at a map or his smartphone in the car without turning a sickly shade of green), so I know all about which rides to avoid if you have issues with motion sickness. Of course, those same rides are typically the ones you want to avoid if you just stuffed your face at one of the delicious table service options. Know which rides might induce motion sickness and avoid those like the plague if you have ever lost your cookies on a ride before. These rides are typically rides that go around and around (Teacups, I’m talking to you) or include a centrifuge (Hello Mission Space Orange). See the full list below. Pack Dramamine or some other type of motion sickness medicine and take the recommended dosage before you head to the parks for the day. For some people, this is enough to help them cope and still enjoy the rides their children love. If you have a child who suffers from motion sickness, talk to your pediatrician about ways to help them cope. Pack Pepsi, lime, and peppermint. For some reason, Pepsi (not Coca-Cola) with a squeeze of lime seems to really help ease a queasy stomach. I’ve used it as an anti-nausea remedy for ages and my family swears by it. Peppermint is also great and when I was extremely sick and pregnant with my children I swore by jolly ranchers and other hard candy, which kept me from constantly dealing with the metallic taste you get when you feel queasy. If you do happen to get sick to your stomach, find a cool bathroom so that you can wash your face and recoup. Then, I recommend finding a cool area and resting for a while. Now would be a good time to break out some more of those peppermints. Whatever you do, don’t get back on another ride that will have you weak in the knees. Mad Tea Party: They should supply barf bags for this one…it’s bad. Dumbo: these are slow, but my husband usually sits this one out. Astro Orbiter: This one is bad for people with a fear of heights and for those who deal with motion sickness. Read more about this ride in our ride review HERE. Prince Charming Regal Carousel: This one isn’t so bad because it is slow, but some people are very sensitive to any circular motion. Space Mountain: This one can be rough and there is quite a bit of circular movement to it, plus it’s in the dark. Big Thunder Mountain: same as Space Mountain but you can at least prepare yourself for the twists and turns. Read more about this ride in our ride review HERE. Mission Space Orange: This one is a puke fest. They literally supply barf bags on this one, which should be a VERY clear sign that this is a no-no if you have a weak constitution. There is a green version of this ride that isn’t so intense, but my husband says it’s still pretty rough. Test Track: This is one to avoid immediately after a big meal. It’s not bad on motion sickness, but can really jostle you around. 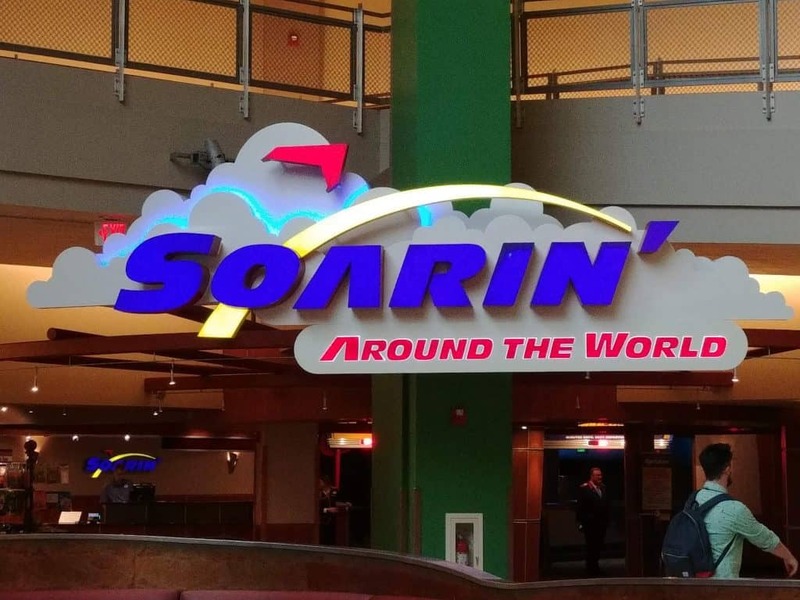 Soarin: This is a simulator ride and simulator rides tend to really bother people who deal with motion sickness. This one passes muster with my hubby, but proceed with caution. Star Tours: This is a family favorite but it is a simulator and it will make you sick if you are sensitive to them. Toy Story Midway Mania: This one may have you scratching your head, because it’s a kiddie ride. Don’t be so quick to judge though, because this ride will toss you around a good bit as you transition from one screen to another. Do not eat a massive cupcake before getting on this ride. You have been warned. Rock N’ Roller Coaster: I love riding on this stretch limo with Aerosmith and singing my lungs out and screaming, but those two things and a ride that shoots you out like a slingshot really don’t go well with a full tummy. Proceed with caution on this one too. Tower of Terror: Whew, this one makes me queasy just standing in line. There is nothing like getting on a ride that drops you and then pulls you back up to drop you again. Talk about taking your tummy! Don’t say I didn’t warn you on this one. Primeval Whirl: The Disney loving friends in my circle have deemed this ride the Primeval Hurl. Do with that what you will…Read more about this ride HERE. Triceratops Spin: This ride is just like Dumbo, so if you can handle Dumbo, go for it! Read more about this ride HERE. Expedition Everest: This one goes backwards, which really messes with some people. However, most people that like roller coasters do fine with this ride. Kilimanjaro Safari: This one is just really bumpy, so it typically isn’t a problem for most people. Read more about this ride HERE. 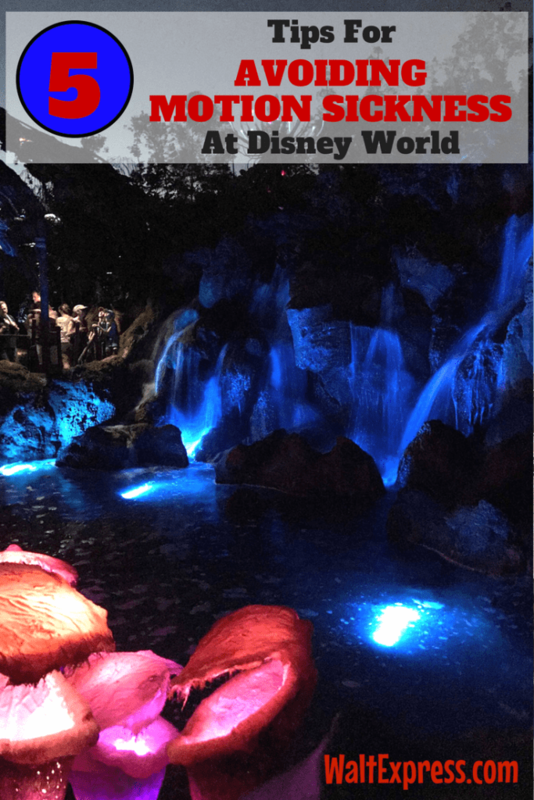 Have you ever experienced motion sickness at Disney World? 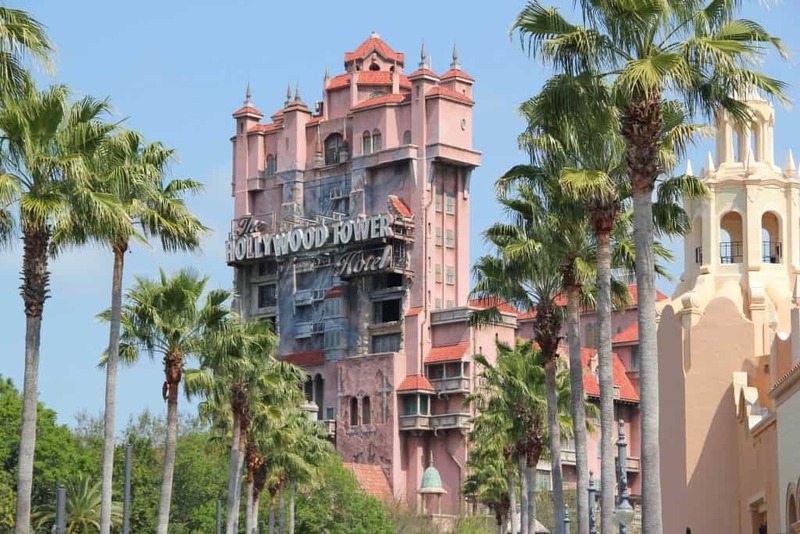 Which ride gave you the most problems? 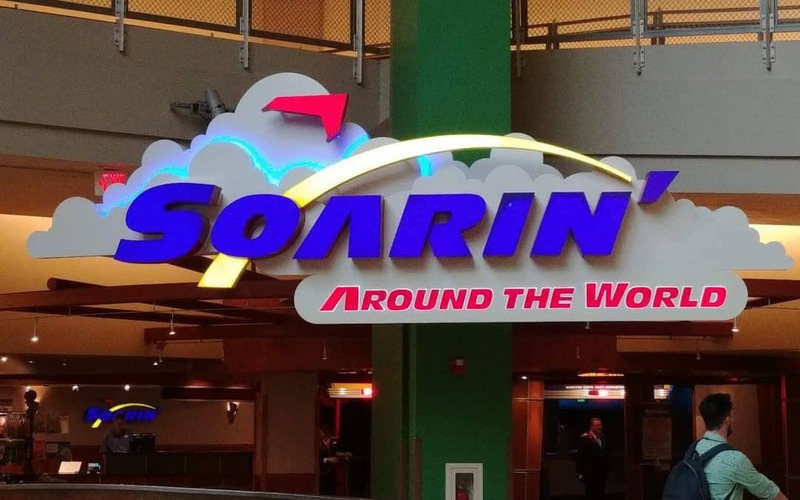 Sound off in the Disney Express Lane Facebook Group to discuss this and more.